The luxury hotel offers a whole new line-up of mouth-watering dishes that enables guests to have a say in their health and wellness, environmental impact, and sustainability efforts. A barbecue cheeseburger topped with coleslaw and doused with barbecue sauce, cheese, onion rings and jalapenos; a chili cheesedog with gochujang aioli, chili con carne, grated cheese and jalapenos; both equally juicy and bursting with flavors. 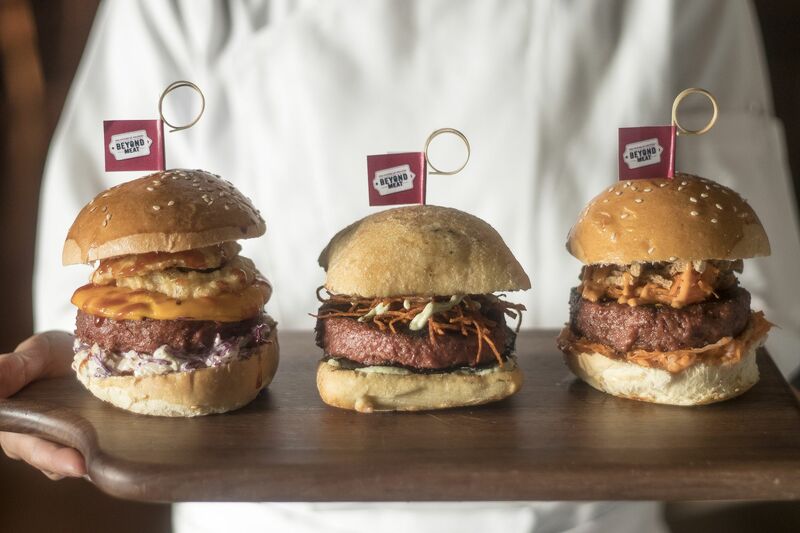 Beyond the taste, you will appreciate the fact that it has lesser health risks and environmental impact associated with regular burgers – that is what Grand Hyatt Manila promises to offer every Monday starting this April at The Grand Kitchen with "Green Mondays". Embracing Green Common’s Green Monday advocacy, the chefs are ready to deceive your taste buds with sumptuous vegan and vegetarian options from appetizers to desserts. Aside from integrating Beyond Burger patties and Beyond Sausages in their buffet menu, pork lovers can also look forward to the chefs serving up well-loved pork dishes with Right Treat’s all-purpose plant-based pork. “Making healthier choices easier for our guests is one thing, but add to that actually serving up choices that took into consideration your health, environmental impact, and sustainability is really going beyond just enjoying good food and enjoying food that is actually good for you. 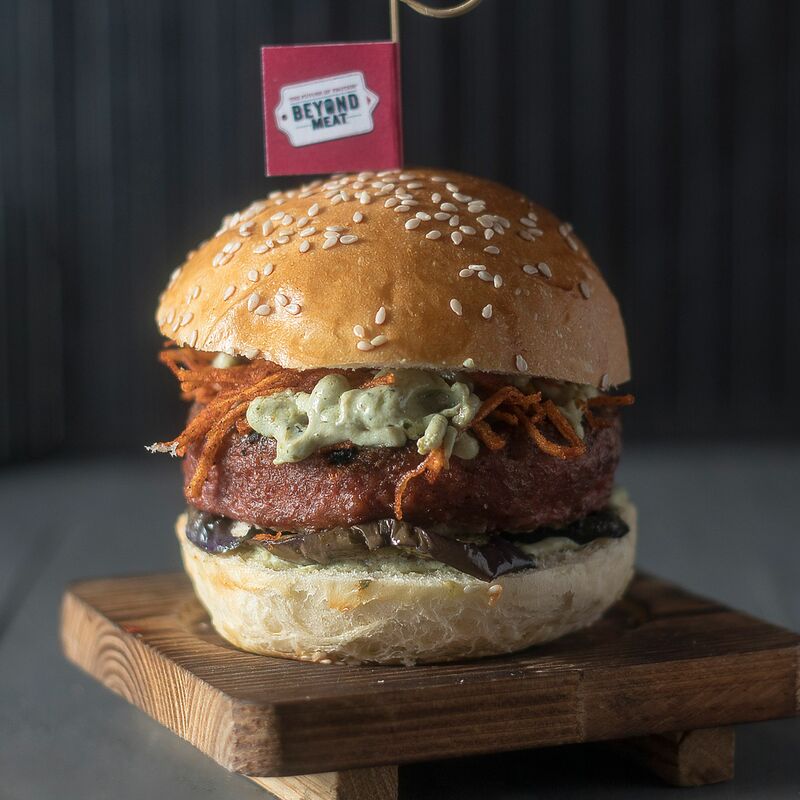 We are rolling out Green Mondays first and then gradually introducing more plant-based choices and expanding it into our six other restaurants,” says Executive Chef Mark Hagan. Green Monday is only one of the many environmental efforts that the hotel has undertaken to do its part of the environment. “We strive to do our part in the hotel by adopting practices such as replacing plastic straws, collecting items that can be donated and repurposed like our Nespresso cups, collecting used coffee beans as fertilizer, or encouraging our guests to bring their own tumbler for their coffee in our pastry shop, but we wanted to take it a step further with Green Monday. We have been fortunate to also find a partner in Pristine Solutions who is the exclusive distributor of Green Monday in the Philippines", shares Chef Hagan. Grand Hyatt Manila is home to a myriad of diverse restaurant concepts, each a pleasing journey to the palate. It hopes to support more causes with the launch of its Green Mondays at The Grand Kitchen, and eventually to its six other restaurant concepts: No. 8 China House, The Cellar, The Lounge, Pool House, Florentine, and The Peak. For updates and reservations, call +632 838 1234 or email manila.grand@hyatt.com and follow them on Facebook and Instagram.